After his Oscar-winning Holocaust tragedy, Son of Saul, Hungarian director László Nemes goes back to his country to tell a story of intrigue and terror, a mystery drama about the dying Austro-Hungarian Empire. 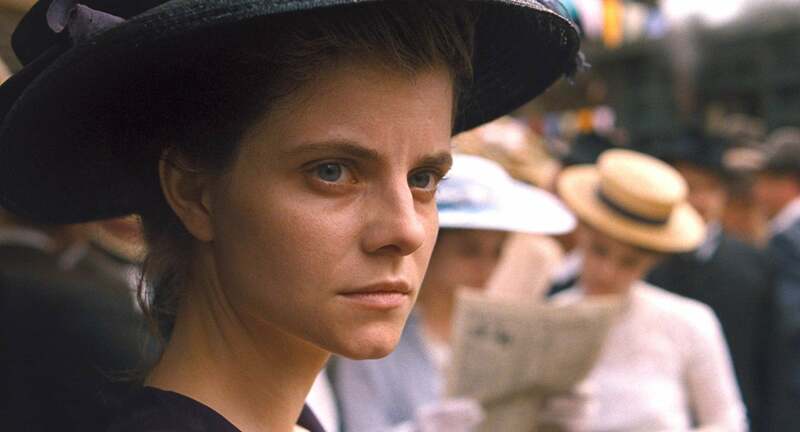 In Sunset László Nemes explores his own cultural heritage through the tale of Írisz Leiter (Juli Jakab) a mysterious woman, with enormous eyes, lost in Budapest on the eve of World War I. Írisz travels to Budapest in 1913 with hopes of pursuing a career at her late parents' famous hat store. They died in a fire on the premises, after which the store was rebuilt and re-established as a lucrative business by the new owner, a sleek businessman named Oszkár Brill, played by Vlad Ivanov. There she finds out she has a brother she never knew, but he’s said to have murdered a count five years earlier and gone into hiding. Strong and fearless, Írisz embarks on a journey to find him. During her quest, she witnesses the turmoil of a civilization that is about to collapse, the Austro-Hungarian Empire. Kafka, Schnitzler, Josep Roth’s The Radezky March and even F.W. Murnau’s Sunrise were some of his sources when writing the script, “their work has had a tremendous impact on me. Even now, in a different time, their ideas and creativity seem so modern”, explained the director who moved to France with his mother at age 12. He grew up in Paris, where he studied History, International Relations and Political Science at the Institut d'Études Politiques because he couldn’t go to film school. “Instead I took some classes in film theory at university and I learned by myself, I read a lot and watched films,” says the director who eventually went back to Hungary and worked as an assistant director, before being accepted at the New York Tisch School of the Arts. “I quit before finishing. I did not like it. Film school was not my cup of tea,” confessed Nemes who ended up assisting director Béla Tarr on The Man from London and subsequently directing several short films. His first feature, S.K, was selected for the Résidence program of the Cannes Cinéfondation. The resulting feature film Son of Saul premiered at the Cannes Film in 2015, where it was awarded the Grand Prix. In 2016 the film received both the Golden Globe and the Academy Award for Best Foreign Language Film.